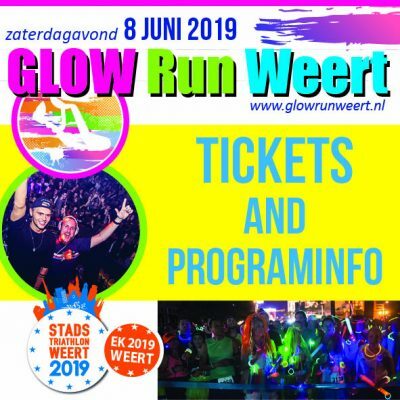 All registrations for the City Triathlon Weert are processed by www.inschrijven.nl. In the tables below, you can find the correct registrations links. We use the MyLaps ChampionChip for our time registration. Athletes are required to use a GREEN or YELLOW chip in order to start. If you do not have one of either chips it is possible to purchase a GREEN chip during the registration process (cost: €6,00). On the basis of your registration, if necessary, you will be charged with license fee (only when your don’t have a Athlete, Aspirants KNZB or KNWU-license). The license fee depends on the race: €8,00 for Sprint/Quarter. A NTB L license is not a Athlete license! Aspirants and parent-child will not be charged with a license fee. Only 200 athletes are allowed per start group due to safety regulations. If a start group is full, the new entries are added to a waiting list. Should a participant opt out, his/her starting number is given to the first person on the waiting list. This person will an email confirmation until closing, as of 24th may 2019. Please inform the registration office of your cancellation (see ‘contact‘), we try to confirm your cancellation within 5 working days. A cancelled registration received before 07-03-2019 (3 months) will be charged with a €5,00 administration fee. A cancelled registration received before 07-05-2019 (1 month) will be charged with 50% of the registration fee. A cancelled registration received from 07-05-2019 will not be refunded. Your registration if final when the iDeal payment (Dutch IBAN only) or direct debit is completed (direct debit will be collected appx. 2 weeks before the race). Your start position will expire when you do not pick up your starting ticket 30 minutes before the start of the race. Your start position is personal, and cannot be transferred to another person. Cancellation of the event due to unforeseen circumstances will not entitle you to a refund of the registration fee. 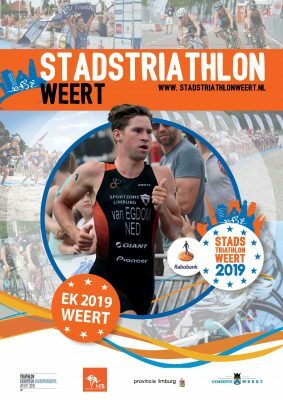 City Triathlon Weert complies to the regulations of the NTB. These regulations can be find at NTB.nl – Reglementen.